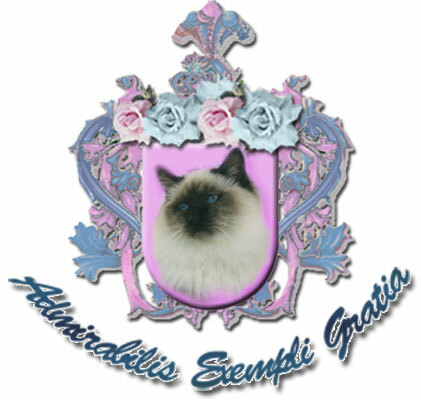 Myingyan Gems Birmans is a birman cattery registered in CFA (Cat Fancier's Association) since 1994. We are located in Cooper City, west from Fort Lauderdale, South Florida. We breed birman babies underfoot, with lots of love and dedication. Birmans are also known as Sacred Cats of Burma. Myingyan Gems was awarded as Best Birman Cattery in Argentina in 1996,1997,1998,1999, 2000,2001 and 2003, obtaining in 2003 a number of points never surpassed by any birman cattery and very rarely matched by other catteries of any breed. Sandra Picchiello-Ventiera and all who make Myingyan Gems Birmans a dream come true. owned by Myingyan Gems Birmans. 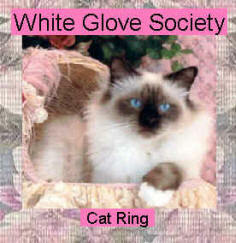 This Crazy For Cats site is owned by Myingyan Gems Birmans. "Breeding the Birmans We Love and Loving the Ones We Breed"